Free Money Is Waiting For You!Eliminate The Muda! Were you around before the days of the internet? 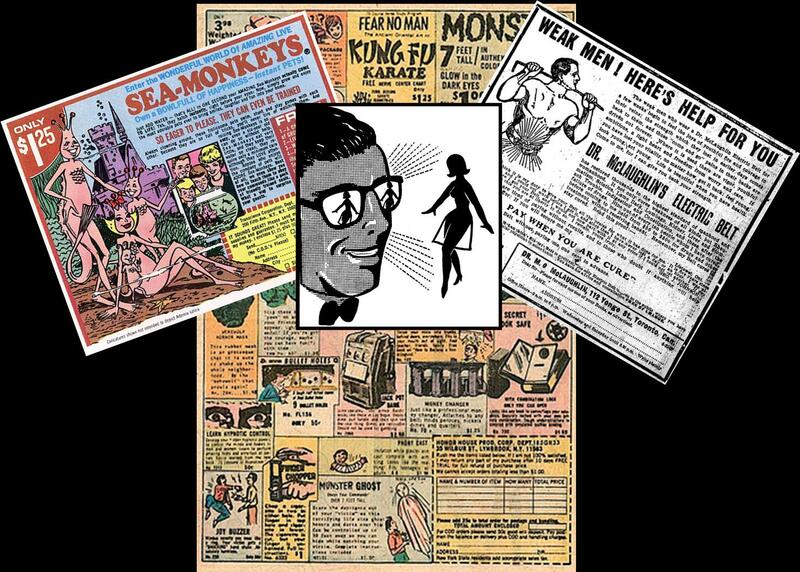 Do you remember Sea Monkeys, X-Ray Glasses and How To Build Muscle advertisements in the back of comics and magazines like Popular Mechanics? These advertisements fascinated me as a child. With the turn of every page there was a different gadget or gimmick that I wanted but my parents couldn’t afford (or maybe they said so because they knew it was a waste of money!). This fascination of mine grew as I got older from the gadgets to the advertised ways of paying for them. Magazine classifieds were filled with multi-level marketing, envelope stuffing and build things at home ads. As a young child I dreamed of the riches and couldn’t wait till I was old enough to dip my hands into some of this easy money. After all these ads wouldn’t be appearing month after month if there wasn’t money in it…or so my immature reasoning went. As time passed and I grew older and wiser I lost interest in these crazy schemes. For years I had not looked at the classifieds. Then in my late teens and on my own I caved. I just had to see what they were all about. I spend a rainy Saturday filling out the SASE (for those that never used snail mail this is Self Addressed Stamped Envelope) for any “business” opportunity that did not require advanced fees. For a few weeks, nothing happened. Then all hell broke loose. I received at least a few dozen advertisements and offers for every single envelope I had mailed. It appeared in most cases that these ads were just a prehistoric method of phishing for addresses to build and sell mailing lists to all the other suckers that bought into these multi-level marketing concepts. I imagine if I had just sent one SASE, I might have fallen for the persuasive offers I received. But when you are sitting at a table looking at literally hundreds of regurgitations of the same scam thing become more transparent. While I have never participated, my fascination with these gimmicks and scams has never faltered. I am sucker for wasting not money, but time watching infomercials for Carleton Sheets No Down Payment , Matthew Lesko’s Free Money for Everybody , and Don Lapre’s Money Making Course Small ADS Big Profits as examples of some of the more famous examples. What is really sad is how many people fall for these gimmicks, scams or wastes of money. Just trying to remember the name of Lesko’s book I Googled him and the first 4 hits were critical if not outright calling his products a scam. In today’s world with the power of the internet a person should never spend a dime without checking out products and services. Unclaimed Property – If you really want to get money that is due you, you don’t have to spend your money for Kevin Trudeau’s Free Money , all you need to do is check with the government’s clearing house for unclaimed money. The National Association of Unclaimed Property Administrators which is a non-profit organization associated with the National Association of Treasurers and Council of State Governments provide a free search tool. Pick the State and enter your name to find a list of possible monies that you are due. Government Grants – Are you looking for a grant for your research or to start a new business. Money is not given with no strings attached but money is available without buying Matt Lesko’s books. The Government provides their own website listing all the current grant opportunities. Business Loans – Want to start a business. Have you seen the infomercials or advertisements that promise to help you find the free government money that is available as part of the U.S. Recovery Plan. Don’t bother wasting your money when the information is free. Just link to the Business.gov to search for the opportunities you may be eligible for. A basic premise of Living a Lean Life is that you don’t spend money for things that you can do yourself or get for free. How about you, have you ever bought a money making program from an infomercial or the internet. If so, please share your story. Click on the comments below and tell us how it went!